BEIJING (Reuters) - A southwestern Chinese city renowned as a "furnace" during the summer has opened up its warren of old air raid shelters to help people beat the heat, state media said on Tuesday. A 115-130-year-old "bomb lance" fragment was found in a 50-ton whale killed in Alaska last month. University of Cincinnati attorneys claim that former student Virgil Tuttle, 48, is "stalking" the institution. He's been arrested 22 times in the last five years for trespassing on the campus. Freakonomics rounds up several recent surveys of popular pet names in the US and the UK. The UK list overlaps heavily with the most popular boys' names. 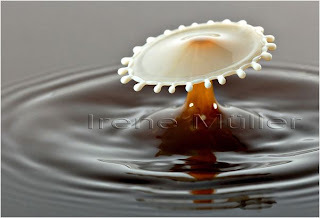 Milk meet coffe: wonderful photos! Wales' Week In Week Out programme. Science Daily — Although most Americans believe they know what brought down the World Trade Center twin towers on Sept. 11, 2001, civil engineers are still seeking answers to questions that could save lives in the future.